The sovereign filed on Monday afternoon in New York at the offices of the United Nations, the instrument of ratification of the Paris Agreements, which were adopted after the COP 21 convention. Monaco is now IN. 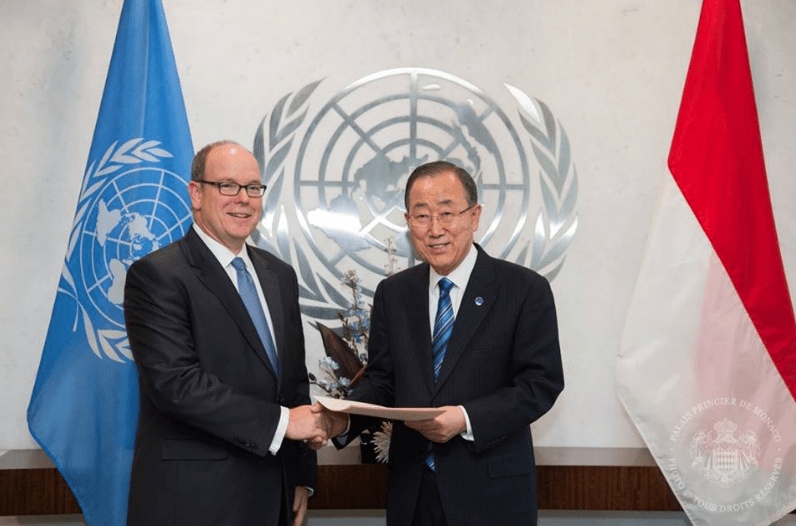 Prince Albert II of Monaco was welcomed to the United Nations Headquarters in New York on Monday, on the 38th floor of the building, where the decision makers have their seats (Ban Ki-Moon’s office too). The 38th floor is where all the decisions are made concerning international relations, we could even push further and say that this is the world’s embassy. Isabelle Picco is the Monegasque ambassador to the United Nations. Just prior to heading to the 38th floor, Prince Albert II filed the Paris Agreements, which were adopted after the COP 21, in December 2015. 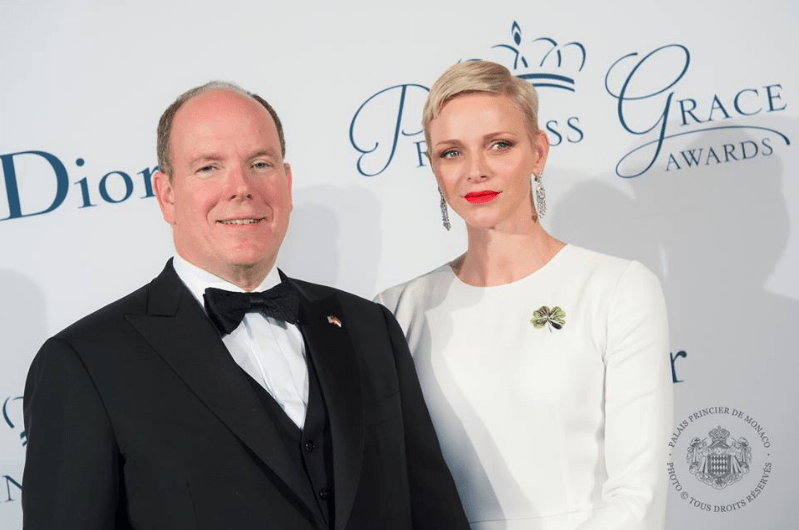 On Monday evening, the Princess Grace Awards gala was held in New York, in the grand Cipriani Hall on 25 Broadway. This award was given to 21 young artists in the presence of the Prince Albert II of Monaco as well as the Princess Charlene. The award’s purpose is to give new talents the opportunity to study and get accreditation in arts, according to their specific discipline such as music, theatre, acting or painting. The presence of many stars like Queen Latifah, Naomi Campbell, shows the importance of the awards at the start of any artists career. Monaco’s impact and support in Arts extends across all frontiers. Yet again Monaco shines when it comes to competitive sports. Especially when it comes to sailing, there is always a team that is strong enough to be reckoned with. This time, the team won and broke the record, by a long way. Pierre Casiraghi seems to be having a good year, and following his presentation last week at the yacht club to the younger generation, they will definitely be following him closely in all his races. Record broken! 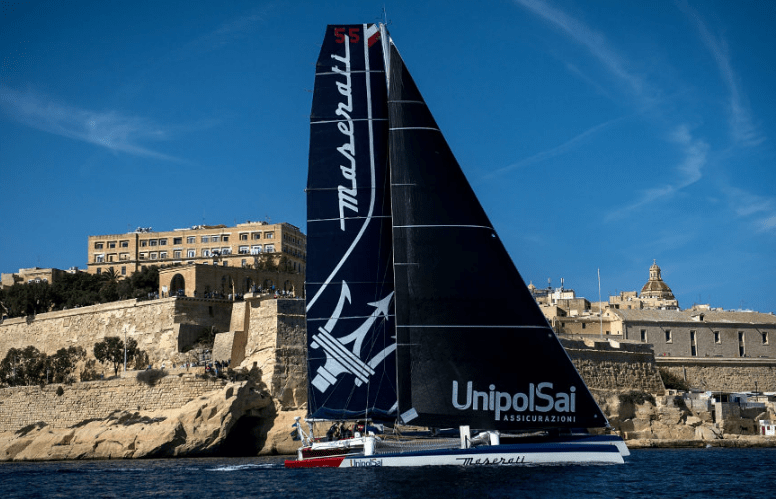 The Multi 70 Maserati led by Giovanni Soldini with Pierre Casiraghi, crossed the finish line 1st at the 37th edition of the Rolex Middle Sea Race on Monday, at 14:00. It only took 2 days, 1 hour, 25 minutes and 1 small second for the Italian crew to travel the 608 nautical miles that plot this famous sailing race. A time that allowed them to set a new record, beating by a little over ten hours the previously held record by Phaedo 3. Freshly back from his trip to New York, HSH Prince Albert II of Monaco made an appearance at the Sportel convention, being held in the Grimaldi Forum. 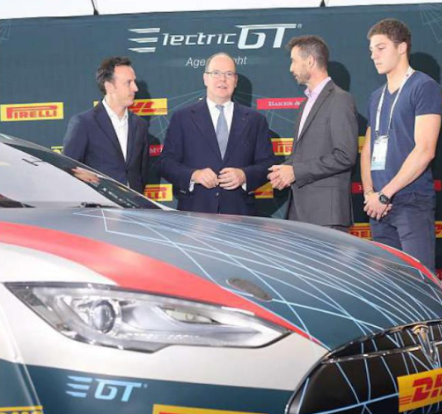 During his tour of the convention, the Prince lingered for quite a while at the Tesla stand, showing quite an interest in the Model S, which is currently undergoing development to run in the Electric GT Championship held in 2017. The Prince then got familiar with virtual reality goggles on a specialised course in the Salon. His tour ended with the regional Olympic committee who thanked the Prince for his untiring commitment to the world of sports, particularly in the region (Cote d’Azur).